It’s that time of the year again! Everyone is going back to school. If you’re like me, you might be trying to come up with some ways to give your kids something they will love while not completely bypassing nutrition. Now, I’m not a super healthy mom, so there is no vegan or bean sprouts for my kiddos, although we do love bean sprouts. I simply try to watch their fresh fruit and veggie consumption and make sure there is balance in their day. They may not get enough fresh fruits and veggies at every meal, but by the end of the day, they will be loaded up! By shopping at Save-A-Lot, I was able to create each of these lunches for less than $2 each. THAT is why we love to head back to school with Save-A-Lot! One of my son’s favorite lunches to take to school is this ham and cheese skewer! All I do is cut an everything bagel into 6 sections and alternate ham, grape tomatoes, cheddar cheese, and olives on a mini skewer. I put the bagel section on first and build up from there. He absolutely loves these and even asks for them on non-school days! They are also great to take on a picnic and you can use whatever ingredients your kiddos like! My oldest daughter’s favorite lunch is this peanut butter and banana roll. As you can see, there’s really no reason to even post a recipe because these are so, super easy and fun to create! All you do is spread a large flour tortilla with 2 Tbsp of peanut butter. Place a whole banana on the outside edge and start rolling. Once it is all rolled up, just slice it and VOILA! You have a super fun and healthy peanut butter and banana roll to take on the go. I packed a mandarin orange, cheese Penguins and fruit grippers this day. She was headed off for speech therapy and an algebra class at the local university. Now, my youngest is a little bit more picky of an eater and usually likes her food cooked. It doesn’t have to be hot, but she likes to know that her food was cooked. I really think she’s just spoiled and wants to know that Mommy will put in that extra effort for her LOL These pizza rolls and ham and cheese rolls are super easy to make and are very similar. All you do is roll up pepperoni with Mozzarella cheese or ham with cheddar cheese in a crescent roll. Pop them in the oven at 350 degrees for about 10-12 minutes and VOILA! You have a hot lunch prepared for your kiddos. Just be careful when removing them from the hot oven. You can pack them up with pizza sauce or ranch dressing and fresh fruits and veggies to make your little one super happy! Right now Save-A-Lot is having a super fun #PACKNSNAP giveaway that you can enter! Now for my very own giveaway! I am giving away a $25 Save-A-Lot gift card to two very lucky readers! 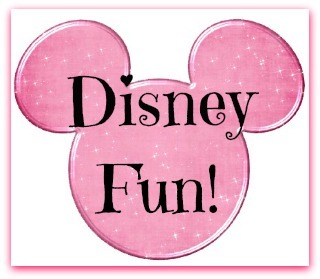 All you have to do is leave a comment below telling me what your favorite lunch was when you were a kid! Winners will be chosen and announced on September 7, 2016! No purchase is necessary to enter. Void where prohibited by law. The odds of winning are based on the number of entries received Open to US, 18+ only. Confirmed Winner(s) (by Random.org) will be contacted by email. Winner(s) have 24 hours to respond before a new winner is chosen. No purchase necessary. Void where prohibited by law. Acadiana’s Thrifty Mom is responsible for product shipment/delivery. Please allow 4-6 weeks for delivery of prize. This event is in no way administered, sponsored, or endorsed by, or associated with, Facebook and/or Twitter, Google, Pinterest. This disclosure is done in accordance with the Federal Trade Commission 10 CFR, Part 255 Guides Concerning the Use of Endorsements and Testimonials in Advertising. All of these lunches look great and I love that they are healthy. I’d start with the first one because it looks incredible. Thank you for these ideas! I love Save-A-Lot, such a great place to buy. My favorite lunch was always chicken and noodles with mashed potatoes and corn. And I loved the schools apple crisp. What a creative lunch box ideas. I want to try these when my son was schooling. 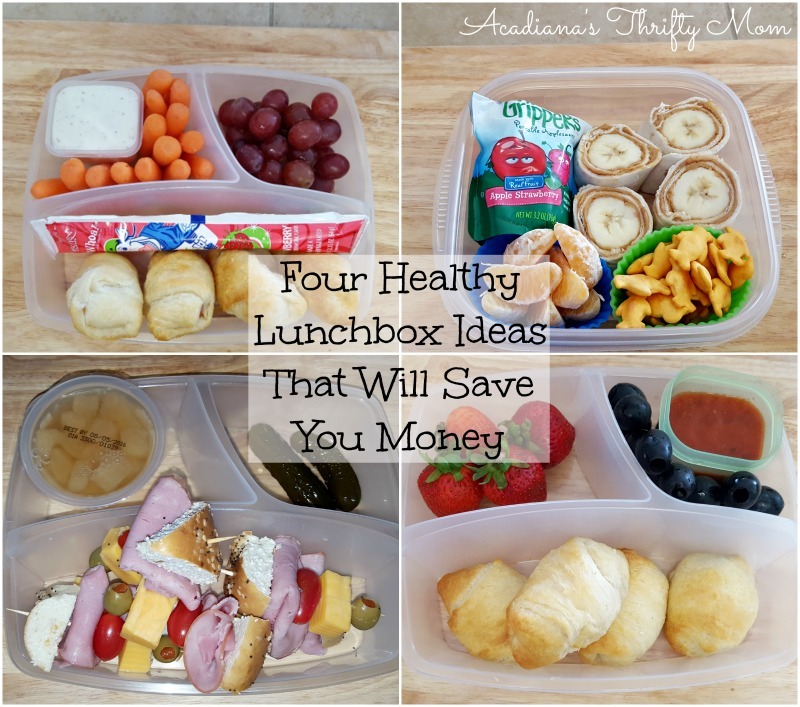 These sound like great lunch box ideas! It is amazing how fast lunches can add up with three in school. These are great lunch ideas especially when you’re on a budget. I like that you also make it a point that the kids will have everything they need for the day, from protein to the fruits! I know it’s cliche but I always loved peanut butter and jelly, especially with raspberry jelly. These are such great ideas! So much better than just the standard sandwich lunch! We always had school lunch as a kid. My favorite was there chili. At home I like tuna fish sandwiches. A very healthy way of living plus it saves money as well. Thank you so much.